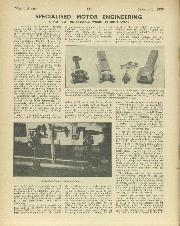 In contrast to the apathy of many big manufacturing firms, who seldom or never defend criticism of their products and do not always provide cars for road-test, the smaller, specialist engineering concerns were quick to respond to a correspondent's query as to where he and fellow enthusiasts could obtain machining and other facilities necessary in the course of building a "special" or modifying an existing sports car. 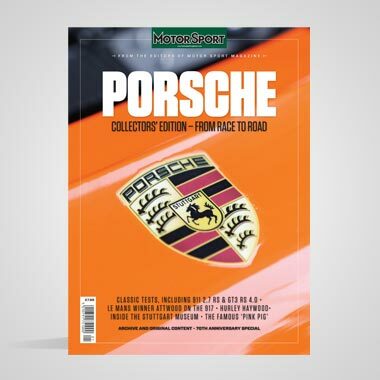 When investigating the claims of some of the specialist concerns who contacted us in this matter, Motor Sport was impressed with the understanding of the problems experienced by "one-off" constructors. In the case of the smaller firms it is not unusual to find two partners who have set up on their own in the engineering business, or a firm run on a sort of "happy family" basis with one director putting up the capital. In almost every case excellent equipment has been installed and the operatives are skilled and usually of long experience, modest but unable to conceal a justifiable pride in their knowledge and love of real engineering, as opposed to fitting mere replacement parts, which is today about as far as the average garage, as distinct from engineering concern, is able to go. Providing the car-building enthusiast is willing to accept advice from these professional engineers, to explain clearly what he requires before a job is started (which, however, seldom involves production of complicated drawings) and that he or she realises that "one-off" precision work is bound to exceed the cost of equivalent standard replacements or servicing jobs, there should be no difficulty in obtaining excellent service from the engineering concerns reviewed hereunder. — W. B.
Weldangrind Ltd., Peterborough Road, Fulham, London, S.W.6 (Renown 1111-3). 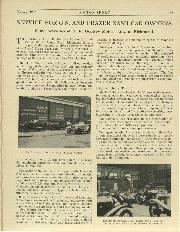 Weldangrind Ltd. can be dismissed by stating that in their extensive and very fully equipped premises at Fulham — the office block alone is larger than several small machine shops combined — they can undertake precision work and normal overhaul of every conceivable sort, not only on car and motor-cycle engines but for marine and stationary engines of vast dimensions. Most of their machine tools are contained in one huge, well-lit shop. The lathe-centres range from 4 in. up to 20 ft. and every form of grinding machine, honing equipment and reboring and sleeving facilities are found. A small shop is kept busy white-metalling vintage-style bearings and cylinder liners of all sizes are made on the premises. It is quite usual to find the cylinders of a tiny L.E. Velocette motor-cycle engine awaiting treatment beside the giant cylinder of a marine or pumping plant. Shot-blasting, rebuilding of all manner of damaged machinery, plating of cracks in wet-liner cylinder blocks, welding in all its forms, no job is too large or too small for Weldangrind Ltd.
A speciality is Honeychrome liners, which are very hard, and consequently wear-resistant, while offering advantages of greater power output and lower temperatures in racing engines. Stirling Moss is a strong advocate of Honeychrome liners, which he used on his Cooper-Alta and will use this season on his Beart-Cooper 500. Machining work is undertaken on Alta racing engines, as well as private experimental work for well-known competition drivers. Weldangrind Ltd. have also solved problems for manufacturers and do much work, including precision cylinder-head planing, for diesel-engine operatives. They build up special manifolds, etc., very successfully. But, in spite of their equipment and facilities being the equal of those of many manufacturing firms, the fact is that the jobs undertaken are almost all of a "one-off" nature. The managing director, Mr. V. G. Young, A.M.Inst.B.E., M.S.A.E., is obviously fully conversant with every aspect of the work his firm undertakes and is an enthusiast for saving good machinery from the scrap-heap. He is also a motoring enthusiast, for he has on order an Aston Martin DB2-4, which will, naturally, have Honeychromed cylinder bores. One of the engineers has a Sunbeam-Talbot on which we noticed a B.A.R.C. badge. The "special" builder need have no qualms about taking the smallest job to Weldangrind Ltd, for a quotation and normally special drawings of parts to be made up will not be required. 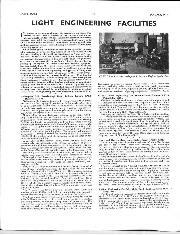 The firm, whose premises were used for a time during the war by Adlards Motors for army-vehicle repair work, has its own electric generating station, and is thus independent of power cuts. The scope of the work undertaken includes cylinder resleeving, cylinder grinding, crankshaft grinding, surface grinding, brake-drum skimming and relining, welding of every description, bearing remetalling, line-boring of cylinders, fitting Victor cylinder liners, valve-seat renewal, stelliting valve seats, general machine work, Metspray, building up of worn parts, supplying pistons, cylinder liners, etc., and repairing radiators. They are Government contractors. — W. B.
C. & A. Finch Engineering, 13a, Thornton Road, London, S.W.19 (Wimbledon 7828). This is a relatively small concern, whose proprietor was a jig and tool designer and who has been with Cooper's of Surbiton. Consequently, he is particularly interested in "one-off" jobs. A remote control for Ford Tens and 1,172-c.c. Formula cars is a speciality and the firm has a Ford-Raeburn Special under construction; before this Mr. Finch was a 12/50 Alvis enthusiast. The equipment includes two South Bend lathes, milling machine, etc. Casting work can be undertaken and remetalling white-metal and phosphor-bronze bearings is amongst the facilities offered. All general engine overhauls, opening-up of ports, machining cylinder heads, etc., is naturally undertaken, and special parts, such as exhaust manifolds, etc., can be manufactured. A telephone call is preferable before calling. 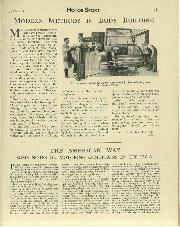 Much work has been completed for Austin Seven Specials. The works is situated in Thornton Road East, which turns left out of Thornton Road approaching from the Ridgeway end of Wimbledon. — W. B.
Huber and Barrett, Rose Lane, Ripley, Surrey (Ripley 2204). This firm of experienced precision engineers (of whom Mr. Barrett and one of his assistants were until recently with Connaught Engineering, where Mr. Barrett was in charge of the experimental shop) occupies a quiet workshop behind the British Legion headquarters in Ripley — left at the cross-roads coming down the Portsmouth Road from London. They have patented a very clever hydraulic vice in which multiple plungers grip jobs of uneven contour, and another invention of theirs is a means of carrying out oil-grooving of bearings and bushes by mechanical means. Of greater interest to the "special" builder is the fact that their machine shop is equipped to carry out almost any kind of overhaul and manufacturing job likely to be required. Equipment numbers several modern precision lathes, universal miller, band saw, etc., besides the usual drilling machines and so on. Grinding work can be arranged with outside firms. Work is undertaken for Connaught Engineering and very accurate precision machining can be undertaken. The youngest member of the staff is an expert welder. The firm is open on Saturday afternoons by appointment. — W. B.
Surbiton Engineering Co. Ltd., Alpha Road, Surbiton, Surrey (Elm. bridge9492). This firm of precision engineers was formed about eighteen months ago by J. L. Smith and A. G. Plumb. Mr. Smith has had 25 years' experience of i.e. engine work, mostly at Laystall's, and is a keen M.C.C. member who rides a 147-c.c. Ambassador combination in trials, etc. Mr. Plumb has had similar experience, largely on the commercial vehicle side and owns a post-war Morris Minor in which he has installed a Ford Ten engine. Their aim is to undertake all manner of repair and overhaul jobs, such as reboring, sleeving and crankshaft grinding, and also to make special parts and modifications for the enthusiast. They prefer building up damaged parts mechanically to welding, although normal welding facilities are available. Engine work is preferred to chassis work, but brake-drum skimming can be undertaken. Equipment features good lathes, cylinder reboring machine, etc., with ample floor space for expansion, but complete cars are not dealt with—a rule almost universal amongst these skilled specialist firms. Bearing remetalling, the supply of pistons and making up of new parts for vintage engines is welcomed. The firm is not normally open on Saturday afternoons. but the partners are to be found late on most evenings. — W. B. Precision Bearings Ltd., 8-10, Wadsworth Road, Perivale, Greenford, Middlesex (Perivale 6204). As the name implies, this firm specialise in bearings of all types and sizes, making their own shells and caps for obsolete types. Their activities however are not confined to the large selection of white-metal, copper-lead, phosphor-bronze bearings and bushes which are exhibited in the showcase at the firm's offices. Complete engine reconditioning is carried out on the premises, which are fully equipped with the necessary machines for boring in line, cylinder boring, camshaft grinding, milling, gear-cutting, etc. The directors, Mr. M. Melhuish and his son Mr. II. Melltuish, are keen motorists and are at present engaged on building a "special" on a light tubular chassis, powered by a vee-twin air-cooled engine, fitted behind. Although they usually have the engines brought to the works, they would accept the complete car and would also carry out complete overhauls. "One-off" jobs are not objected to, and work can be undertaken without detail drawings. Light welding, brazing and small gear cutting, plus all manner of turning and grinding facilities are available for "special" builders, combined with the firm's 30 years' experience in engineering. A telephone call would be preferred for anyone wishing to make a Saturday visit to the works, which lays behind the huge Hoover factory in Western Avenue. — W. J. F.
Blackbird Hill Garage, Ltd., Blackbird Hill, Kingsbury, London, N.W.9 (Colindale 6134/5/6). This firm needs no introduction to motorists in N.W. London. having been established 30 years. Apart from providing all usual garage services, they undertake complete engine, chassis and body overhauls in their spacious workshops. One of the services offered by their electrical section is the plotting of advance curves. Knowledgeable enthusiasts will appreciate this phase of tuning in obtaining maximum efficiency from their power units. A noteworthy feature of this organisation is the fact that their comprehensive stores is open all day on Saturdays and Sundays. Local A.A. road patrols make full use of this facility for the benefit of its members. "Special" builders and enthusiasts who require advice should contact Mr. Fell or Mr. Wallace. Incidentally, one of these two gentlemen is always available during weekends. The fabrication of "one off" parts is not objected to, and detail drawings are not required. A sketch with accurate measurements, assisted by verbal explanations, will suffice. The premises are situated within easy reach of the North Circular Road (Neasden Circle). — W. J. F.
F. W. Wheeler & Son, Wilton Road, Ilford, Essex (Ilford 3988). General reconditioning of engines is but one of the facilities offered by this Ilford firm. In addition they specialise in gearbox overhauls, ranging from commercial and vintage "crash" boxes to synchromesh and self-change. If required they will make new gears, splined shafts, bushes and selectors, etc. In fact, with the experience of Mr. F. W. Wheeler, accumulated over some thirty-seven years in the motor engineering trade, there is virtually nothing they cannot undertake. 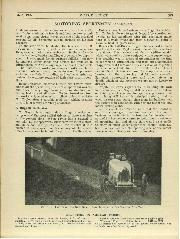 Vintage enthusiasts in particular will readily appreciate the value of Mr. Wheeler's first-hand experience on such early cars as Delaunay-Belleville, de Dion Bouton, Peugeot, etc. The machine shop has facilities for turning, milling, splitting, grinding, head and port polishing. etc. Pattern making is another branch of the work carried out here, and subsequent castings can be obtained at short notice. Heat treatment is done on the premises, while shot peening (to lessen metal fatigue) can be arranged. "Special" builders with chassis problems will be interested to know that Mr. Wheeler has designed and built chassis for "one off" jobs, and also designed and built the jig for welding the Aston Martin DB2 chassis. To generalise: Engines and gearboxes are preferred ready for the bench, unless by special arrangement. Estimates will be given from detail drawings or patterns, though rough sketches will be accepted for making "one off" parts. Normal working hours, including up to 1 p.m. Saturdays. For evenings or weekends please phone Seven Kings 4576. Wilton Road is a turning off Ilford Lane and quite centrally located. Finally. Both father and son are keen motorists with a soft spot for pre-war and earlier quality cars and will welcome the opportunity to help someone with sticky mechanical problems. 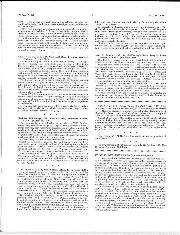 — W. J. F.
John K. Edwards, Ltd., 1a, Guilsborough Road, Penglars Lane, Willesden, N.W.10 (Willesden 2696). This firm of precision engineers are specialists in all branches of grinding, having machines accommodating a variety of job sizes. Together with associate companies they can cope with cylinder boring and grinding, remetalling of bearings, crankshaft grinding and cylinder head grinding, etc. In the event of unusual or obsolete ball races they undertake reconditioning of same. Regarding "one off" parts they, would appreciate full details of the item required such as drawings and material to be used, and will give estimates against patterns and drawings. Pattern making and casting facilities are also available, as is gear-cutting. Although the firm are engaged on production work, Mr. John Edwards pointed out that they are quite willing to help anyone in trouble, provided that they realise the time and subsequent cost involved in setting up machines for "one off" jobs. Normal working hours apply, but in the event of difficulty an appointment can be made for a representative of the firm to be available outside working hours. — W. J. F.
Iliffe & Sons, Ltd., Dorset House, Stamford Street, S.E.1, have published a new edition, the seventh, of "Speed and How to Obtain It." 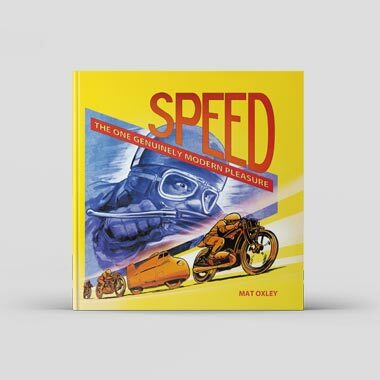 Although primarily a motor-cycle publication there is a great deal in this book to interest those of our readers who have inquired about a text book on tuning for high performance. 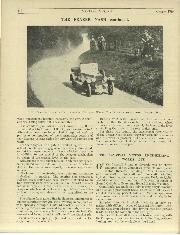 Almost all aspects of this matter as applied to the single-cylinder engine are included, as well as a chapter on starting in racing. 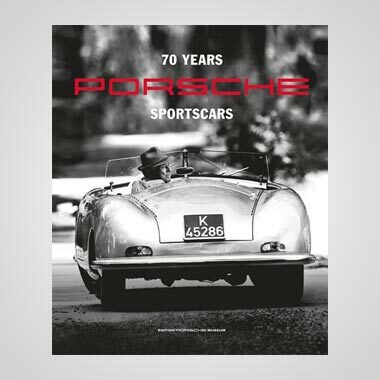 Supercharging is included and this book, which has 162 5in, by 7 1/2 in. pages, concludes with valuable formulae and references. The price is only 5s. We are not surprised that over 100,000 copies have been sold. — W. B.
John Heath, of H.W.M. fame, has agreed to remain president of the Citroên C.C. THE LAYSTALL MOTOR ENGINEERING WORKS, LTD.
SERVICE FOR G.N. AND FRAZER NASH CAR OWNERS.